LolliZ Gel Pens Just $12.99! Down From $50! You are here: Home / Great Deals / Amazon Deals / LolliZ Gel Pens Just $12.99! Down From $50! Amazon has this LolliZ Gel Pens for just $12.99 (Reg. $50)! When you think of gel pens are you thinking dull, boring and unimaginative uses? Gone are the days gel pens used to come in dark, black or blue ink for the sole purpose of being serious and snooze-inducing. LolliZ introduces a new generation of fancy, color popping gel pens boasting a cocktail of shimmery hues to titillate the artist in each one of us. An array of colorful gel pens set, great to sketch, draw, color, doodle, write and outline any art project, scrap book or craft you are creating. The thin precise tip lets your hand glide over the paper to get you the best visual results of your creative outbursts! Check this out! 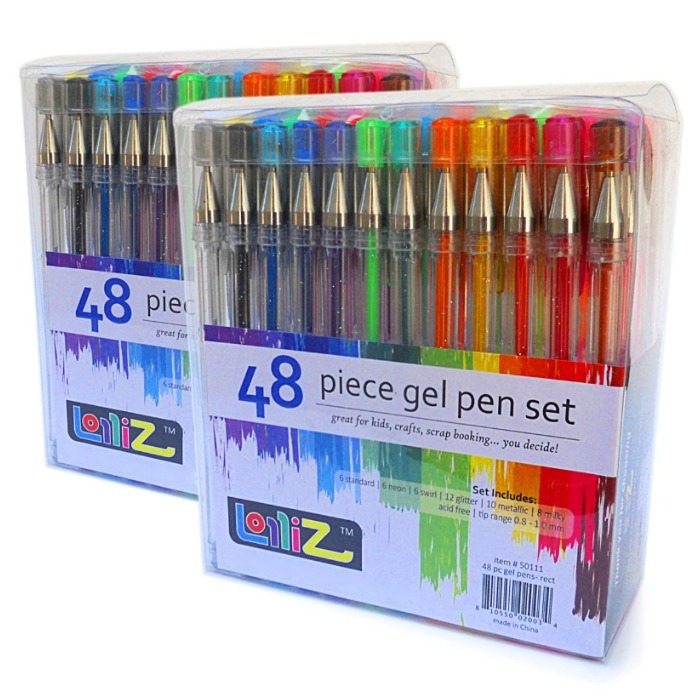 LolliZ Gel Pens Set comes in assorted colors and styles. Tidy up fast: they come in a safe and easy storage packaging featuring four neat trays to insert each gel pen in its own individual place. Whether you are a school-age budding artist or a full-fledge professional, take your craft to the next level with confidence and creative style using LolliZ Gel Pen Set.